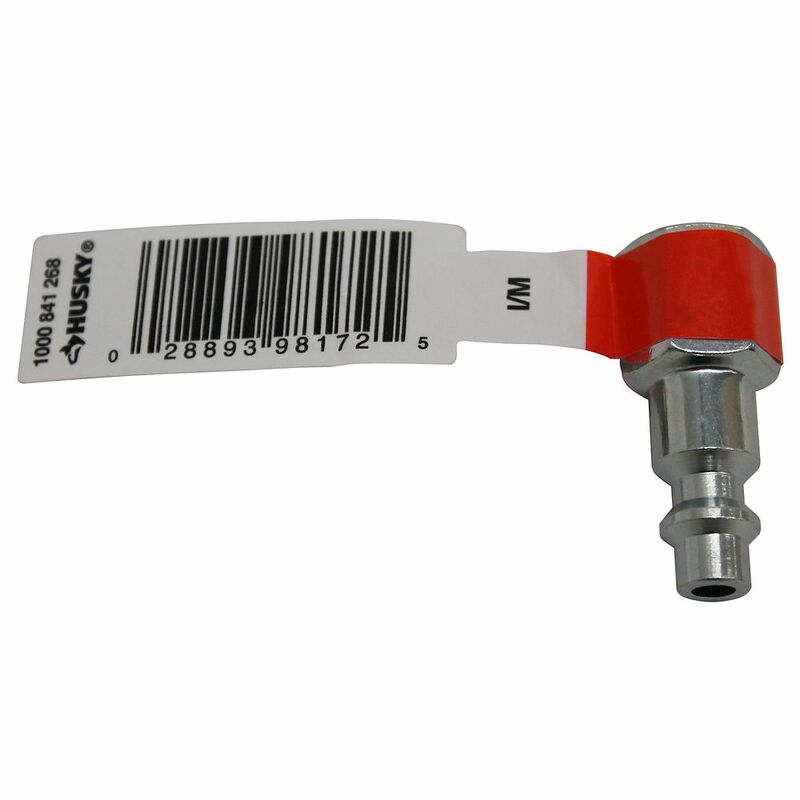 The Husky 1/4 inch x 1/4 inch NPT Female Industrial Plug makes it easy to connect components to your air compressor. The durable design features heat-treated steel over brass. It makes changing tools quick and easy when used with a matching coupler. The industrial design fits popular styles. The Husky 3/8 inch Regulator with Gauge provides regulated output pressure of 0 - 150 psi for proper tool operation. It has a self-relieving design that vents downstream air flow for easier adjustment. A locking pressure knob prevents accidental pressure changes. The 3/8 inch inlet and outlet hook up to standard 3/8 inch air hose and piping. 1/4 Inch Female Steel Plug The Husky 1/4 inch x 1/4 inch NPT Female Industrial Plug makes it easy to connect components to your air compressor. The durable design features heat-treated steel over brass. It makes changing tools quick and easy when used with a matching coupler. The industrial design fits popular styles.